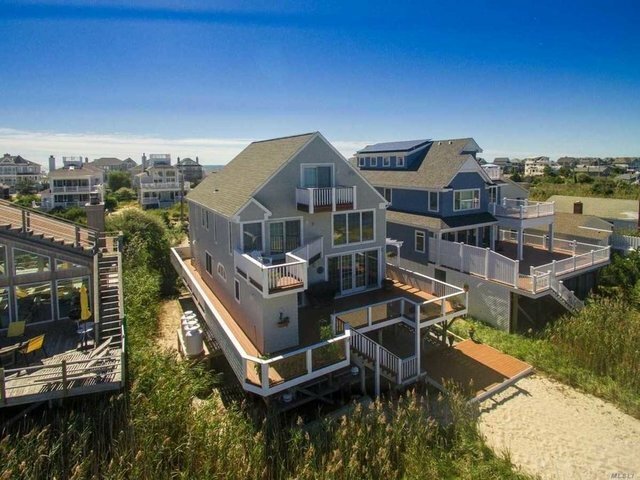 Tucked Away Off The Main Strip Of Dune Road It Offers A Quiet Bay Front Setting With Private Sandy Beach Exquisite Views And Open Floor Plan. Spacious Multi Level Decking With Glass Railings Give Unobstructed Views Of The Bay. Well Maintained Exterior And Professionally Decorated Interior Make This A Move In Ready Home For Your Summer Enjoyment.